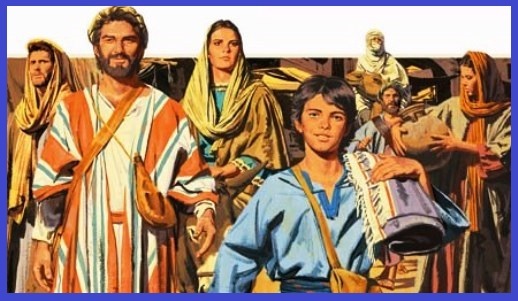 Do you know what Jesus was like when He was a boy? Well let’s take a look. 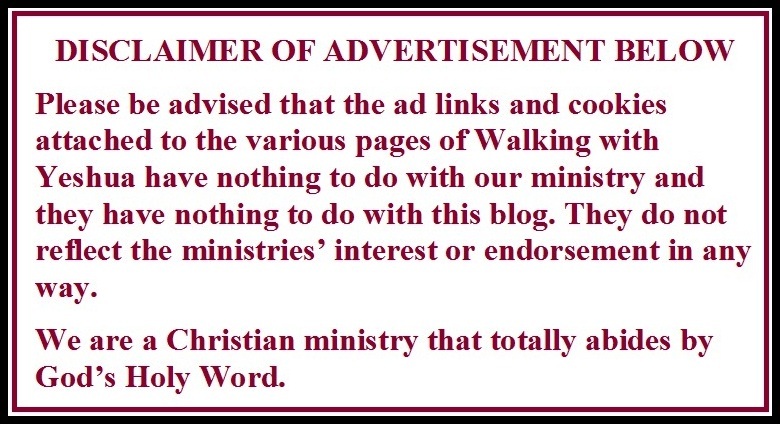 First we must look in the Bible, and read what the Bible tells us! 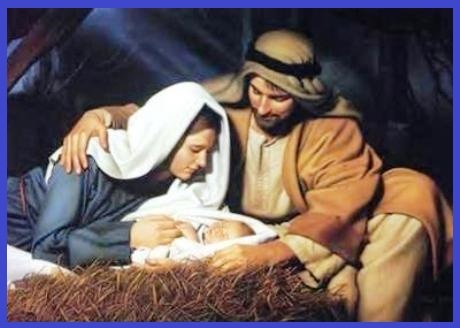 We know that Jesus came to earth from heaven as a baby. 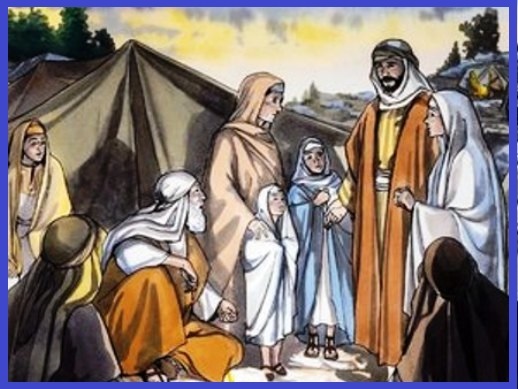 We know that when he was two years old that He and His parents went to Egypt to live for a while before they moved to a town named Nazareth. 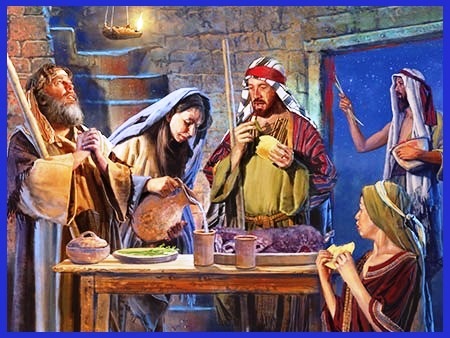 Then when Jesus was 12 years old the Bible tells us that every year his parents went to Jerusalem for the Passover Feast. 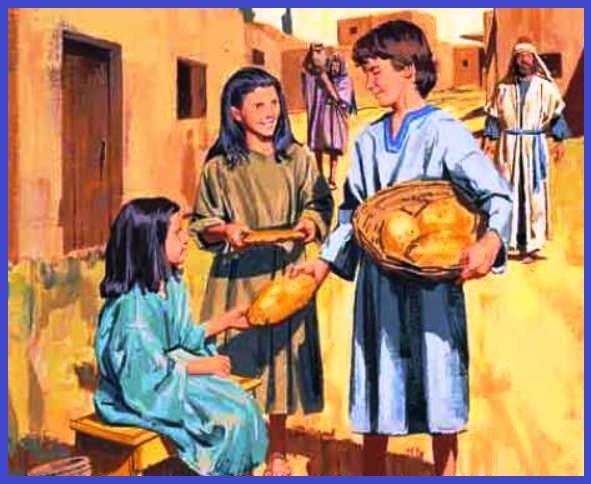 God had commanded them to celebrate this feast every year to remember the time when they left Egypt, where they had been slaves for 430 years. So that year, they went to the feast as they always did. When the feast days were over, they went home. They walked home with a lot of people from their family. 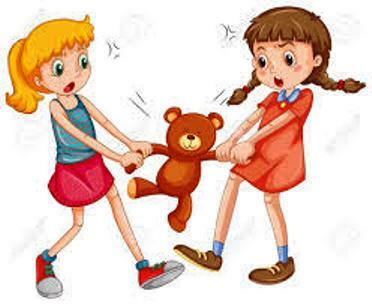 So there were aunts and uncles and cousins and friends that walked back home together from the celebration to keep each other company and because the distance between Jerusalem and Nazareth was about 90 miles and they could help each other out. 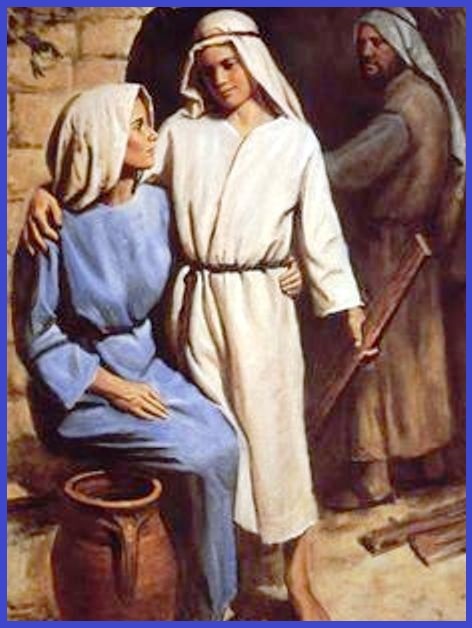 This time however, Jesus stayed behind in Jerusalem, but his parents did not know it. 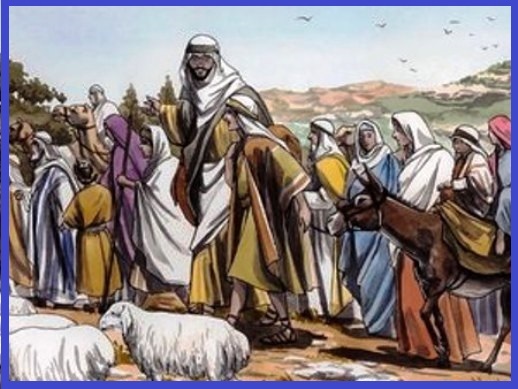 Now Joseph and Mary had been traveling for an entire day when they began to look for him among their family and friends, but they did not find him. So they went back to Jerusalem to look for him there. After looking for three days they found him. 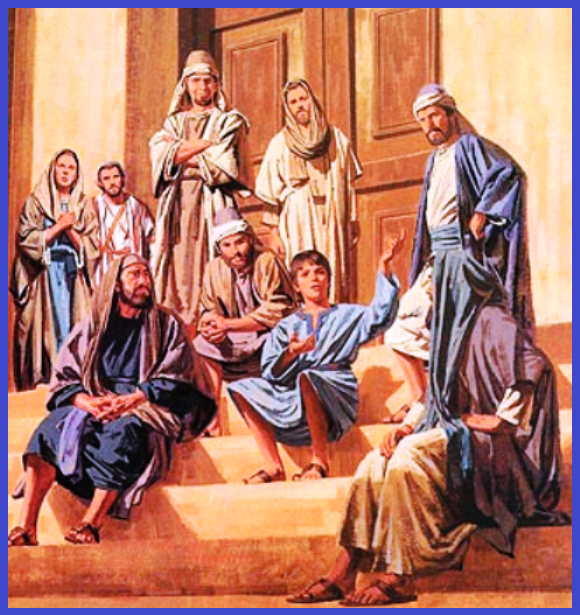 Jesus was sitting in the Temple with the religious teachers, listening to them and asking them questions. Now everyone who heard him was amazed at his understanding and intelligent answers. Jesus was surprised and asked, “Why did you have to look for me? You should have known that I must be where my Father’s work is!” But they did not understand the meaning of what He said. But now, we understand what He said because we know that even though He was a real human just like you and I, He was also God. 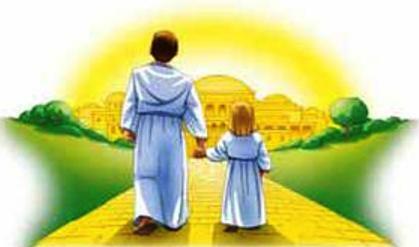 He was in the Temple where they studied and learned about God, and where they worshiped God the Father who lives in heaven where Jesus came from. Jesus is God’s Son, how do we know this? Because the Bible tells us that before He was born, that the angel Gabriel told Mary, his mother that she would become pregnant and would give birth to a son, and she should name him Jesus. Also that people would call him the Son of the Most High, because He is the Son of God. 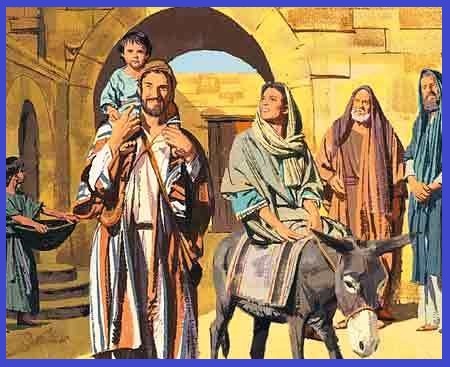 Now after Mary and Joseph found Jesus, He went back to Nazareth with them, where he lived and obeyed them. Jesus continued to grow physically and learn more and more each day. People liked him very much, and he always obeyed God. 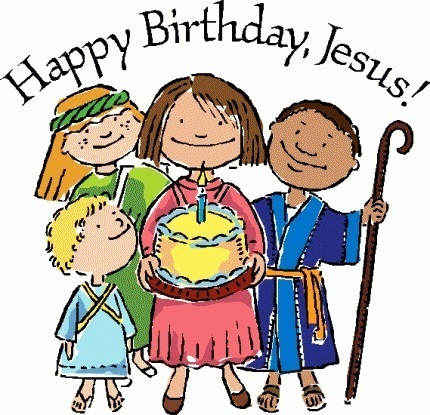 Jesus celebrated birthdays just like you and I.
Jesus loved to read and listened carefully to what His parents taught Him about the Bible. 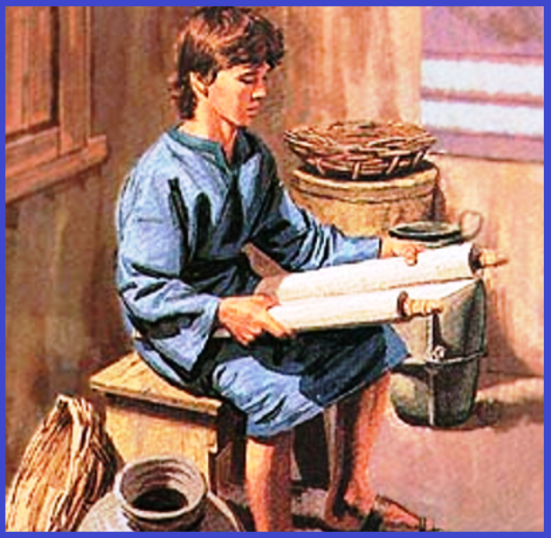 He probably also asked many questions and searched the Scriptures that were available to Him. 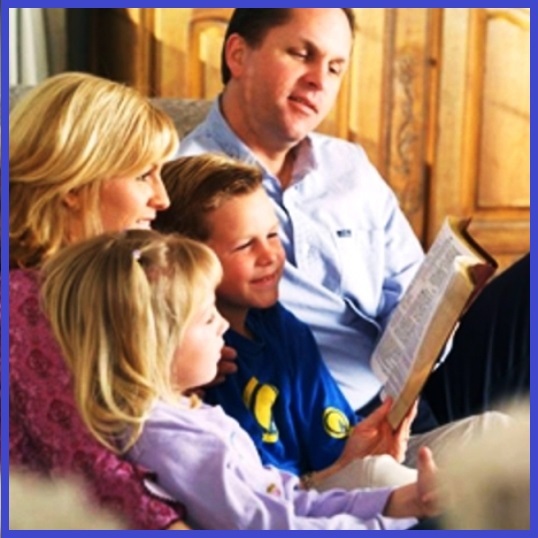 That is what every child should do, ask many questions about God and take time to read the Bible every day with their mom and dad to learn more about Jesus. 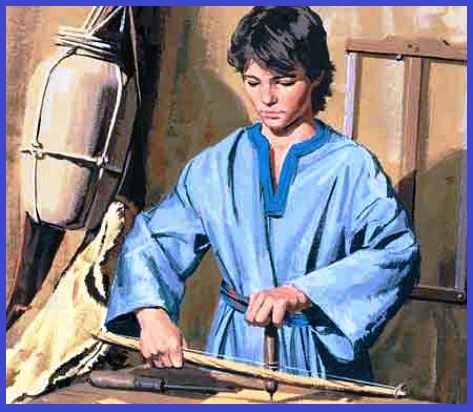 Jesus always obeyed His parents; he helped them with chores and learned from Joseph, his earthly father how to become a carpenter. 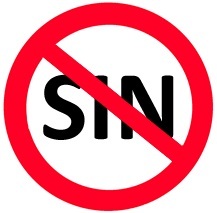 The Bible tells us that Jesus never sinned (1 John 3:5). 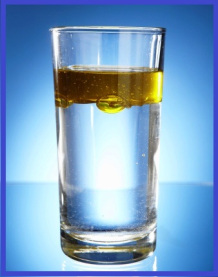 Just like oil and water do not mix; sin and holiness do not mix. God hates sin because He is holy. God hates sin because sin separates us from Him. 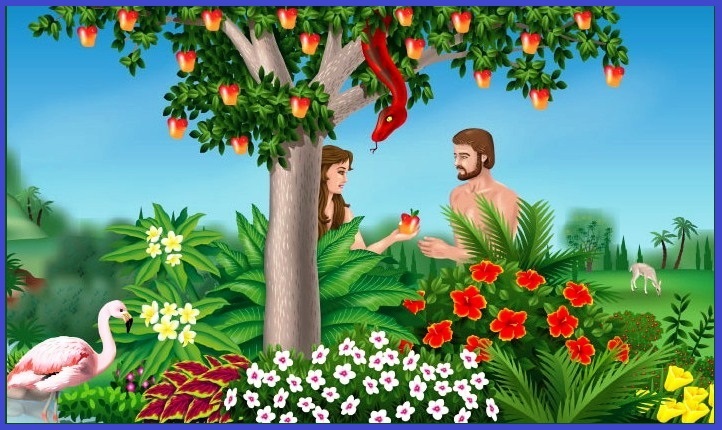 Do you remember the story in Genesis 2:17 where Satan deceived Adam and Eve in the Garden of Eden and they disobeyed God by eating from the tree of the knowledge of good and evil? The Bible tells us that God told them that if they ate from that tree, that they would surely die. Well they would not die immediately, but eventually they would die. However if they had not disobeyed nobody would ever have to die. 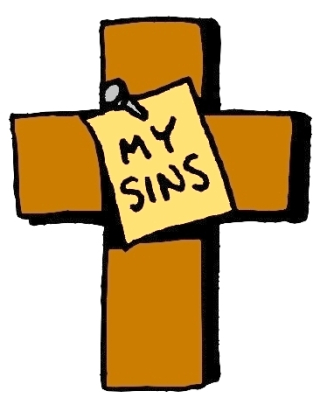 So, since that time, we are all born with sin because the Bible tells us that all people have sinned (Romans 3:23). 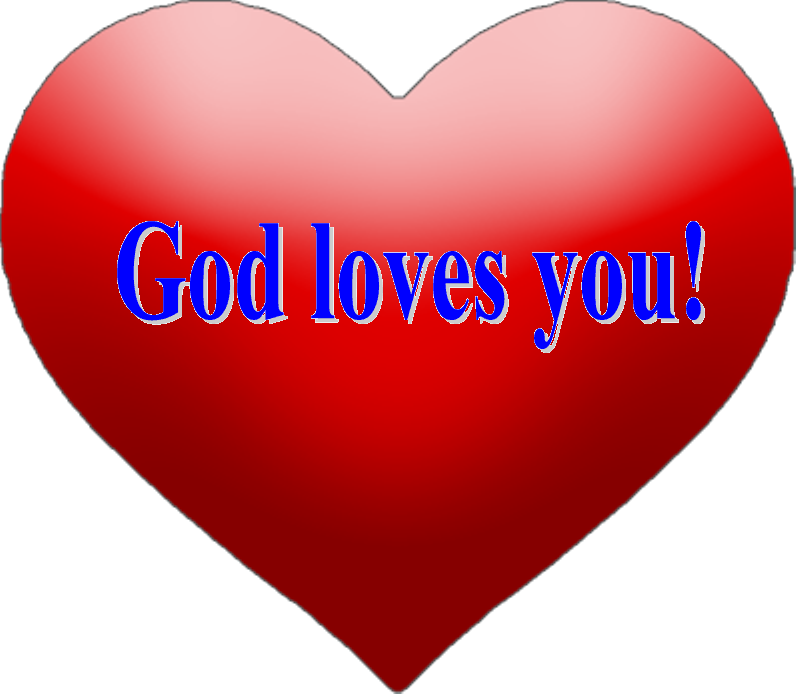 Now God loves us so much that He sent Jesus from heaven as a baby and He grew to be our Savior. He died on the cross to pay for our sins so that one day we can live with Him in heaven and spent all eternity with Him. Would you like that? Let’s find out what we need to do first. When you admit, believe and confess, something will change inside of you, because you love Jesus you will want to obey Him, and you don’t want to do bad things anymore and you don’t want to lie anymore either. If you want Jesus to forgive your sins, and you want Him to be in charge of your life, then you need to tell Him. In a moment we are going to pray and talk to Him. Remember though that God knows and sees everything. Repeating the words in this prayer will not save you, unless you really want to do what you are praying for. So this is a very important prayer and decision you are making in your life, because you are making a permanent commitment with God. Dear God, I know that I am a sinner. 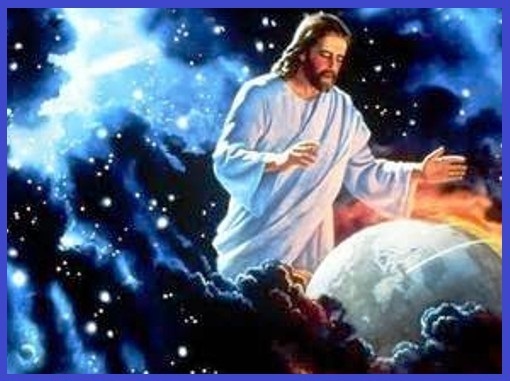 I know that You sent Jesus to be my Savior, and that He died on the cross to take the punishment for my sins. I know that Jesus rose from the dead and is coming back someday. 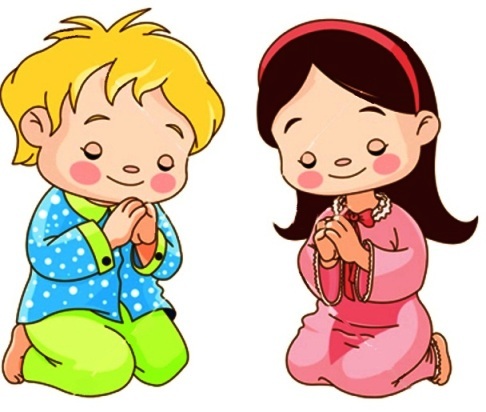 Please forgive me of all of my sins, and come into my life and change me. Please guide me every day and help me to follow you for the rest of my life. Thank you for saving me and taking me to heaven when I die; in Jesus’ name, Amen.